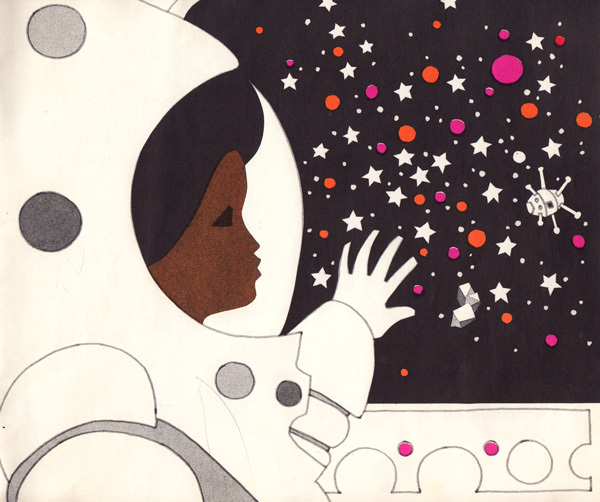 Visionary Vintage Children’s Book Celebrates Gender Equality, Ethnic Diversity, and Space Exploration. For all their immeasurable delight,children’s books also have a serious cultural responsibility — they capture young minds and plant in them the seeds that blossom into beliefs about what is socially acceptable, what is right and wrong, and what is possible. This weight of possibility is both a blessing and a burden, given the terrible track record children’s books have of celebrating diversity — both ethnically and in terms of gender norms. 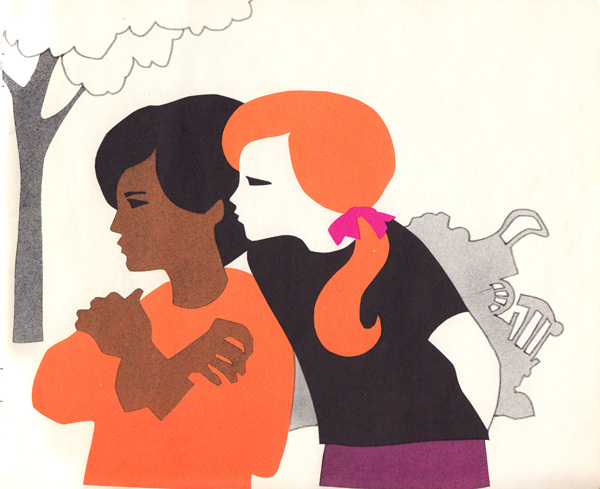 Only 31 percent of children’s books feature female heroines, and even those consistently purvey limiting gender expectations; of the 3,200 children’s books published in 2013, a mere 93 were about black people. The ones that fully embrace cultural diversity or empower girls are few and far between, to say nothing of those rare specimens that get girls excited about science. One of the most heartening antidotes to this lamentable state of affairs comes from 1973. 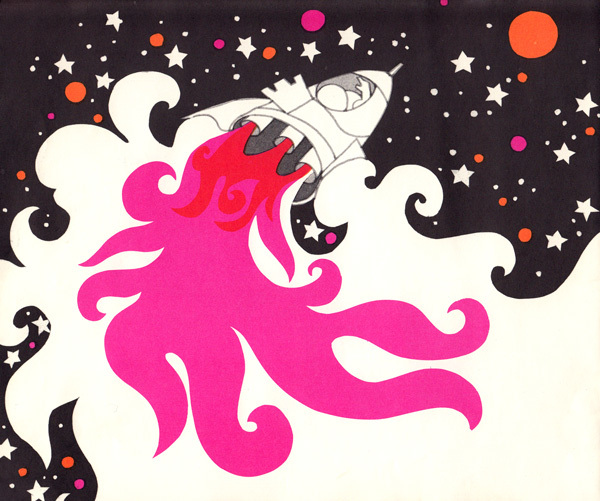 Four years after the historic moon landing, as the world was falling in love with space exploration, the education arm of the Xerox Corporation published Blast Off (public library) — an extraordinarily imaginative little book by two women writers, Linda C. Cain and Susan Rosenbaum, illustrated by the legendary duo Leo and Diane Dillon, best-known for illustrating the most popular edition of Madeleine L’Engle’s A Wrinkle in Time. I’ll zoom through the sky into space. I’ll find new worlds and maybe meet new people, and I’ll come back and be famous! Her friends just laugh at her and walk away, which leaves Regina all the more determined to pursue her dream. She sets out to build her very own spaceship out of junk — a few boxes and an old trash can become her space capsule — as she wonders whether her dream of becoming an astronaut will ever come true. The story continues and, being a children’s tale, has a happy ending — but at its heart is a proposition both bittersweet and truly visionary: It would be exactly a decade until Sally Ride became the first American woman in space, and nearly twenty years until Mae Jemison launched into the cosmos as the first African American astronaut. Though long out of print and somewhat dated in its details, Blast Off endures as a heartening antidote to a culture that all too frequently contains and confines children’s dreams by selling them lesser visions of the possible, failing to cultivate in them the essential capacity to imagine immensities. What might a contemporary version of this spirit look like? Perhaps the most heartening example today remains Carla Torres’s Larry and Friends. → Capturing change: From mistress of Cairo to Martyrs of the revolution. ← Egypt unseen: The land of my grandfather.